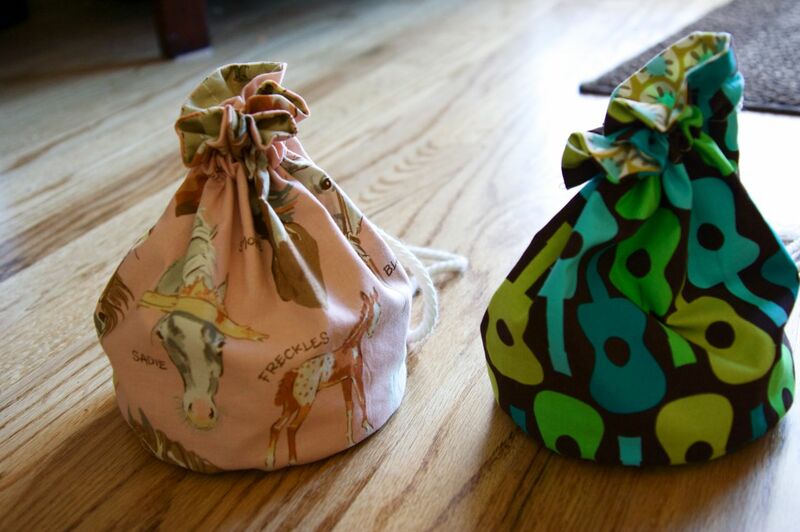 i mentioned that my daughter's birthday party was a couple weeks ago, so i whipped up some drawstring bags for the kids to collect their pinata goodies. 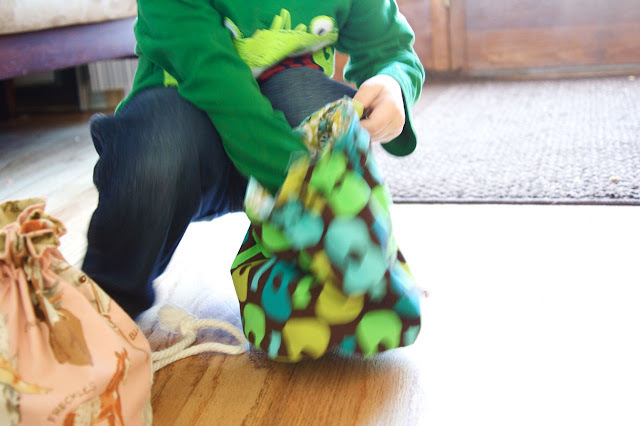 I LOVE these bags--tutorial here, they are the PERFECT little size. Try it out, you'll love them too. here's when my little guy told me that what i had put in the bag did not belong. i think i like them as much as my kids! and don't forget, you can still purchase tickets for the raffle. 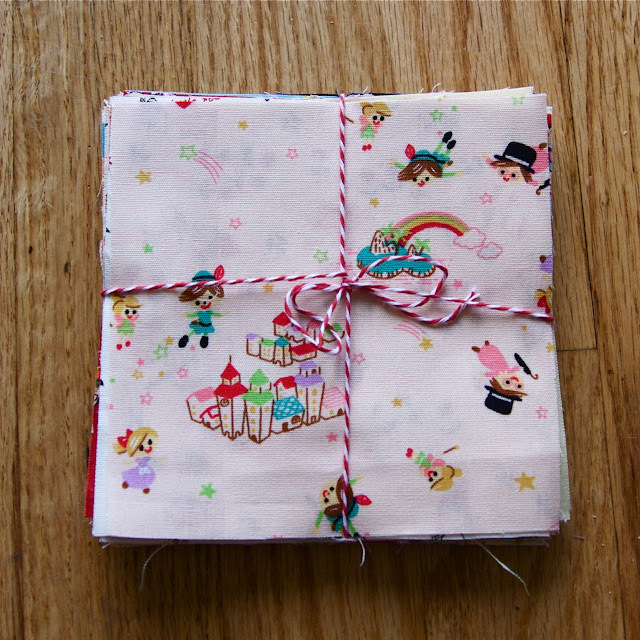 and lastly, i have listed some more charm packs (fairy tales this time) in my shop. Love those! They are adorable! I bet the kids freaked out for them. I'm making little bags for my son's party this weekend. Mine are based on the Happy Zombie treat bags only with just one fabric because I'm in a time crunch. I'm trying to make 20 of them so they aren't even being ironed as I go. I showed one to my son and he said "Yay mom those are good goodie bags" and my husband asks "Is mom MAKING your bags" then he paused and said in a serious voice "of course she is". ha! Man, Nettie! Quit making me want your cute fabric! :) I'm going to get in trouble with the hubby. I love the bags! What a great idea! I love the bags and the charm pack is adorable! These are great bags for so many things. I need to make them for my little grandson's toys at my house - like Duplo blocks, little people, etc. I love having the toys sorted and separated. Yeah! I am so glad you found the tutorial useful! We made those in June and they still get used each and every week. Your fabric choices are so great! I adore them! Really cute! Really cute and the charm packs look fab. 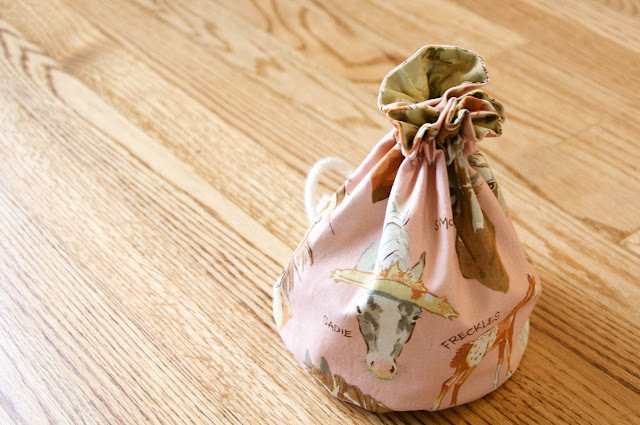 Ohhhhh, please tell me the name of the fabric with the donkey and horses! So so cute! the horse fabric is called stable mates by alexander henry. it's been out of print for a while...i found it on ebay about 8 months ago.